Steven Gerrard is set to draw on his Liverpool ties again as he looks to strengthen his Rangers squad this summer. The recently-appointed manager has already sealed a loan deal for U23s star Ovie Ejaria, who spent last season with relegated Championship side Sunderland. Liverpool’s legendary talisman is now targeting Jon Flanagan after the defender was released by the club, according to the Times’ Paul Joyce. Rangers hoping to sign Jon Flanagan. 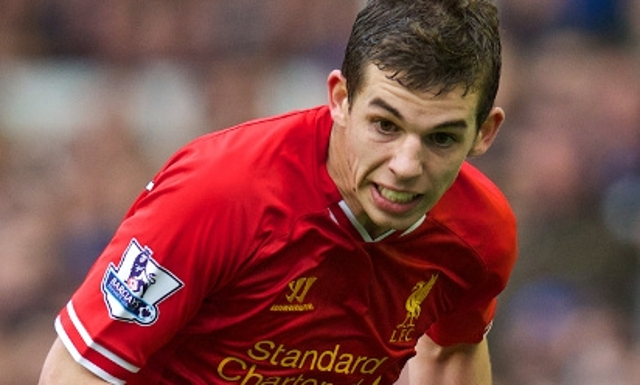 Flanagan spent the second half of last season on loan at Bolton Wanderers, making just nine league appearances on route to Phil Parkinson’s side securing their survival on the final day. His lacklustre spell marked the latest instalment of his swift regression since his superb 2013/2014 campaign, in which he asserted himself as a surprise starter as Liverpool fell just short of lifting the Premier League title. The 25-year-old’s place at the club became somewhat untenable at the beginning of 2018 when he was handed a 12-month community order for assaulting his girlfriend in Liverpool city centre. Whilst Rangers’ interest promises to divide opinion, for Flanagan it poses as a welcomed long-term project in which to get his career back on track. Gerrard has been linked with a number of Reds since taking up his position in Scotland, advertising an enticing bridge to regular first team football. Striker Dominic Solanke is one name to surface as a possible target as he looks to continue his development after a debut season at Liverpool short of senior opportunities. His immediate future is likely to be decided by how Jurgen Klopp approaches the transfer window and also by what he has planned for the returning Divock Origi.